Speed dating first evolved over a decade ago, but it has become much more popular in recent years, especially among baby boomers and seniors. Perhaps the increasing need for companionship is to blame, or maybe the adrenalin-pumping nature of the event makes it so attractive. Whatever the case may be, speed dating for older adults is more common and more useful than ever before; it has transformed into an art, where those who can master its style are most successful. Now you might be wondering, how does one speed date? Where can I find a speed-dating event? Oh, and what is “speed dating” anyway? Keep reading and we will catch you up to speed (no pun intended). The first organized speed-dating event took place in 1998 in Beverly Hills, California. Since then, speed dating has spread across the globe. Most speed-dating events specify a certain cultural background, religion, or age group as a requirement to participate. 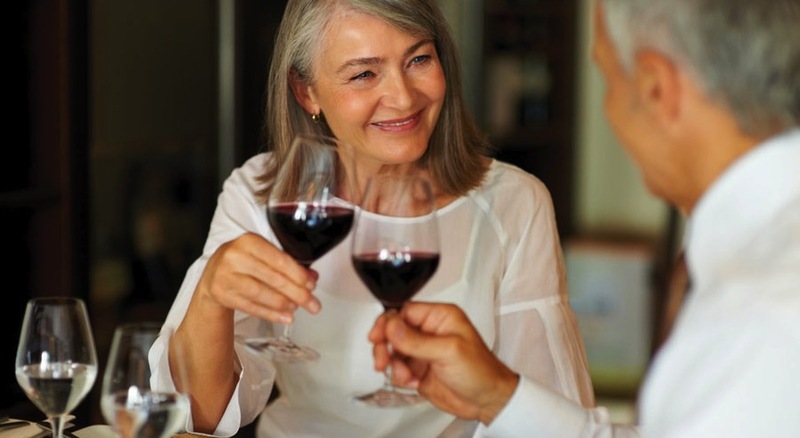 Among the over-50 population, this style of dating is especially common. With greater wisdom and dating experience, older adults tend to know exactly what they are looking for in a partner. For this reason, they benefit from quick dates; they know what questions to ask, and after just a few minutes, they can usually tell if there is potential for a relationship, romantic or non-romantic. Needless to say, adults over 50 have hopped onto the speed-dating bandwagon and have come out victorious. First and foremost, speed dating eliminates pressure – pressure of giving out your phone number even when you don’t want to, pressure of avoiding awkward pauses in conversation, pressure of telling your life story to a stranger you just met. You won’t get stuck with the date that never speaks or the date that talks non-stop, because every date just lasts a few minutes. Granted, you may not get as much time as you’d like with the person you do enjoy, but you have the chance to spend countless hours with that individual after the event is over. Second, it’s exciting. There’s nothing more exciting than meeting a ton of new potential dates in one evening. And even after the event, the suspense of finding out who has put you on their interest list is thrilling. Nothing beats the feeling of knowing the date you most enjoyed is into you as well. Speed dating might seem simple, but there are four tips you should consider before embarking on your next speed-dating adventure. 1) You are going to meet plenty of new people, so be prepared for anything. At the risk of being boring, many dates will throw some pretty crazy questions at you. Of course, you don’t want to divulge too much personal information to a perfect stranger, but you can politely answer the questions and simply move onto the next topic. When in doubt, smile and nod – fear not, a new date awaits you in just a few minutes! 2) Agree to disagree. Hopefully, your date will not engage in political discussion or religious differences given the short amount of time, but as mentioned before, be prepared for anything. If any disagreements arise, simply avoid them by politely changing the subject. You certainly do not want to be thrown off guard and in a poor mood when meeting the next potential partner. Keep your spirits up! After all, you never know what set of eyes from across the room may be on you. 3) Make time to both ask and answer questions. Since you will only have a few minutes for conversation with your date, it is important that you get to know each other as efficiently as possible. If your date seems to be talking about him or herself for far too long, try to chime in with a relatable experience you have had or an interest you have in common. On the other hand, if you find that your date is asking too many questions, simply reverse the same questions back onto him or her. That way, you both will get ample time to divulge and learn information about one another. In the end, this will make your decision process much easier! 4) Lastly, follow your heart. Cheesy, we know, but by far the most important. Speed dating is all about first impressions; simply trust your instincts about those you meet. If you feel a connection, there probably is one! In speed dating, only you are the best judge of who is right for you. Now that you are fully prepared for your next speed-dating extravaganza, you are probably asking yourself, ‘Where can I find a speed-dating event near me?’ Good question. Lucky for you, we can help! Stitch is currently organizing speed-dating events in select areas. If you would like to be notified about when and where future events will be taking place, make sure to sign up to receive the Stitch newsletter. At this time, we are only inviting registered Stitch members to our events, but we will be extending the speed-dating fun to others in the near future. Sign up for our Stitch newsletter here, and we will keep you in the loop! If you are interested in the digital version of speed dating, or “speed stitching” as we like to call it, check out our Stitch website. Stitch is the real-life version of speed dating over 50; through our service, meeting people is quick and simple. You won’t feel any pressure, and you certainly won’t be stuck with a bad date. If you are not interested in a profile, no problem… onto the next one! If both you and your potential companion express interest in one another, then we will introduce you two! Stitch helps you speed date from your home or wherever you please. Interested? Click here to register with us. Still unsure of how the whole speed-dating thing works? Click here to watch a movie clip about speed dating for older adults! My experience with Stitch is that I do get responses to my profile but after I send a short response back I never hear from them again. Are these men really interested in connecting and if not why did they Stitch me in the first place? Thank you for your message. I’m sorry to hear you are having this problem. Sometimes our members do not see the email notification about receiving a message from a Stitch, so they can take a while to respond. We are working on a Stitch iPhone application now that will send you notifications and reminders from Stitch that won’t get lost in email. Hopefully this will help people respond quicker to their Stitches! I have an Android and I suspect that the demographic of our group 50+ don’t have smart phones at all. And tons of our members have smart phones and have actually requested an iPhone app that they can use. We will have it in stores soon as well! I tried your link, but your address was not found on my server. What might be wrong?? Please let me know of a speed dating event in my area. I live in south palm beach county. Thank you for your question. We don’t have any speed dating events planned currently, but if you sign up for Stitch (it’s free!) and log in, you will be automatically notified of any events or activities happening in your area. Thanks, and happy Stitching! Is Stitch anywhere near Sydney? We launched in Sydney about 6 weeks ago, and have hundreds of members there! Our offices are in Ultimo. Please let us know how we can help you have more connections. You can contact us directly via the Feedback/Help section on the site. We have just started the community in Brisbane — had our first event there last week in fact, a shame you missed it! Why can’t the newsletter be posted on the site? Please notify me of any speed dating for seniors in south Florida. Thanks for sharing the movie clip of speed dating for older adults. Loved it! Very informative. I have never done it and now want to try it. Where can I find speed dating for seniors in south Florida? You are right dating is more in older Adults now a days then youngsters, as they know what they want in their partner. At the time they reach near 50 they had experienced alot of relations in their life and have a good idea about what they are looking for. I would like to know of any speed dating events in Savannah, Ga. I am in Bristol UK , where would I find speed dating event .. Can you please let me know. I live in La Verne, California, where would be the closest speed dating event? Hi Susan, at this time we are not doing speeding dating but if you signup you’ll see there are many great people to meet in other venues! Looking for a speed dating event in Cincinnati. Are there many members in Las Vegas? I would be disappointed to join and find there are very few. Hi Dee, we do have members in Las Vegas, it’s still a small group but there are a bunch of Stitchers from all over the country meeting up in Las Vegas next month so I hope you can join and meet them! Great to hear there’s an event coming up in Las Vegas. I live near that area and would like to have the opportunity to attend. If I can get my nerves up! It sounds fun. Can you keep me informed? Thanks Sheila. The best way to keep informed is to join as a member of Stitch … that way you’ll be welcome at all Stitch events in Las Vegas & anywhere else! Do you have any events on Long Island, NY for people in early 70’s? We do have members on Long Island and some of them have organized events in the community — if you create an account you can check out the activities page on Stitch to see what’s happening in your area. I tried to sign in about a month ago and for some reason it kept rejecting my Email and password. I would like some assistance please. I live in Alberta Canada and you’re an American site, would that be the reason my Email says it’s invalid when I try to sign in? No, that wouldn’t be it, we have plenty of other members in Canada. Can you send an email to support@stitch.net so our support team can look into this for you? Hi my name is ROY I am 65yrs old and looking for a DATE. I live in new jersey, in good health and living alone. JUST JOIN stitch. looking for a serious long term relationship. Someone to spend the rest of our lives together. I would love to meet a amazing Women from a Asian dissent. I’m, a 57 young-year old 100% Italian good Man. Not perfect, but a guy. Do you have any events in Cherry Hill NJ. or near by towns? Yes, Melbourne is one of our most active communities worldwide! If you sign up at Stitch you’ll be able to see the events and activities happening in Melbourne. I can see you’ve signed up now which is great. Please let us know if you need help getting verified. We don’t have any speed dating events coming up in your area yet, but you’ll be notified via email when they start happening! when will you have the event in the woodbridge area? do you have a calendar in which I know when to have to go to the event? I’m Janet, divorced 5 yrs ago and ready to date, but don’t know where to begin. Fun, energetic, love road trips, independent (to a point) retired. Speed Dating in Portland Oregon?